Well, it finally happened. The government’s secret viral research has turned on humanity, and the Zombie Apocalypse is at hand. You suddenly realize that years of watching The Walking Dead television series might not be enough to help you survive scores of brain munching undead. Your city has been overrun. You know you have to leave. But where do you go? According to new information released by Cornell University researchers, you should take the advice of the 1980s Busch beer advertising campaign and head to the mountains. In the recent Cornell study it was revealed that those who reached the Rocky Mountains as quickly as possible, once zombies are walking the earth, have the best chance for survival. Those same researchers also stated it was their belief that the human race would probably be eventually doomed. But since cities will rapidly become deadly, with buildings and homes trapping rather than protecting humans, unpopulated and rural areas are the place to be to escape dead heads intent on making a meal out of your grey matter. The researchers took into account the involvement, movement and traits of actual viruses, since many zombie apocalypse scenarios are based on a viral outbreak. This newly released recommendation closely mirrors a development on the hit zombie show, The Walking Dead. Early on in that series, Rick Grimes and his group of ragtag survivors made their way to Herschelís farm. It was located in a sparsely populated country setting, and was a safe holdout from the cannibalistic corpses … for a while. The walking dead eventually overran the farm and Rick Herschel and the rest of the survivors had to flee. The researchers at Cornell University believe rapid death, and rebirth as a zombie, would befall any survivors of such an outbreak that didn’t make it to the Rocky Mountains or some other difficult to reach, less populated area. Alexander Alemi, Matthew Bierbaum, Christopher Myers, and James Sethna were part of the Cornell team that believed a mountainous region could allow apocalyptic survivors to outlast the relentlessly pursuing zombies, but probably only for a few months. Since there are fewer people for the zombies to feast on there, the mountains are a logical destination for non-zombie humans. The idea to realistically study a possible zombie apocalypse came about after some of the researchers read World War Z: An Oral History of the First Zombie War by Max Brooks. 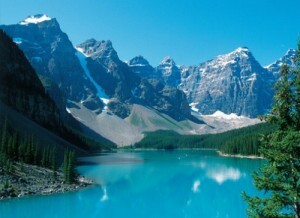 The Rocky Mountains are the destination of survivors of the zombie attack which was described in the book. Alemi said, “Modeling zombies takes you through a lot of the techniques used to model real diseases, albeit in a fun context.” So zombies or not, any horrific viral outbreak on a large scale might make the Rocky Mountains or some similarly secluded area the perfect place to make a last stand for humanity. If you want to learn about some self defense weapons for fighting off the undead, check out this article on 3 Guns You Absolutely Must Own To Survive a Zombie Apocalypse.